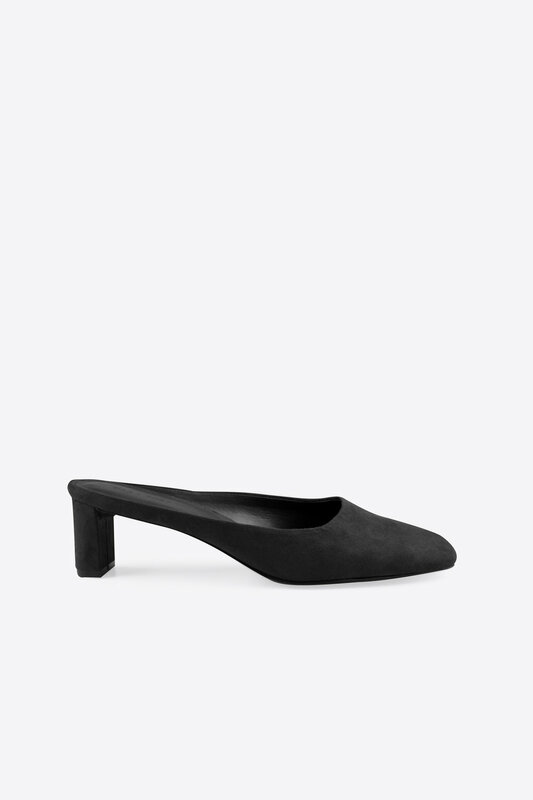 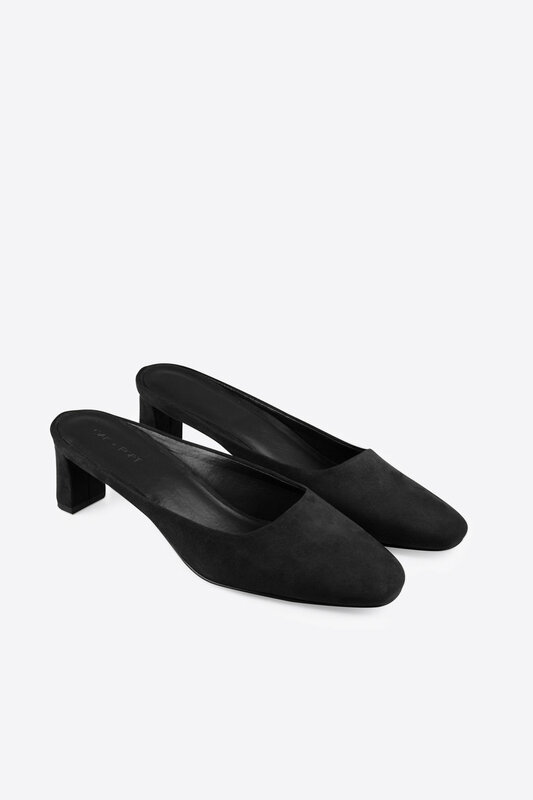 Add a touch of elegance to any outfit with these mules. 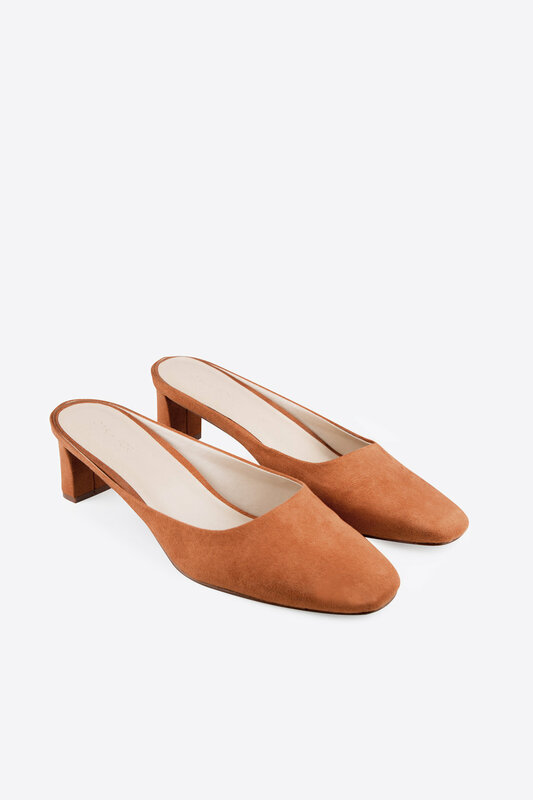 Crafted from vegan suede leather, these shoes feature a sophisticated square-toe design and subtle block heels for comfort and style. Pair with a slip dress and denim jacket for an effortlessly feminine look. 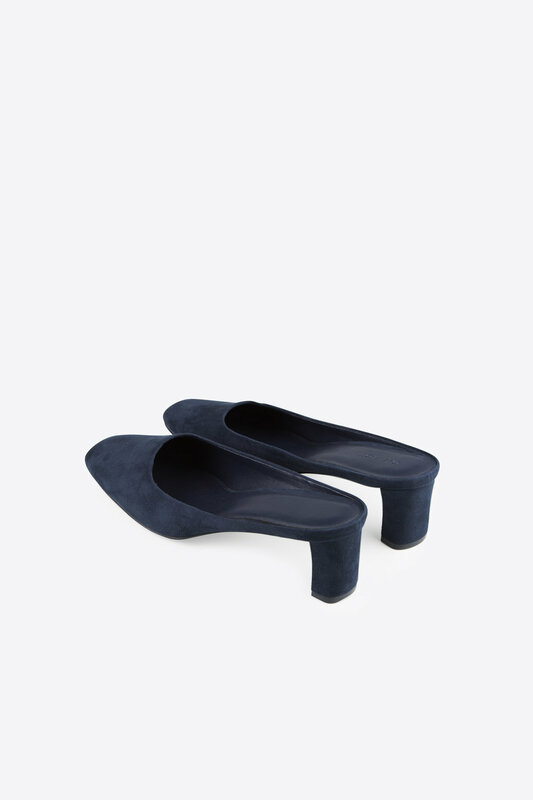 Also available in Clay and Navy.